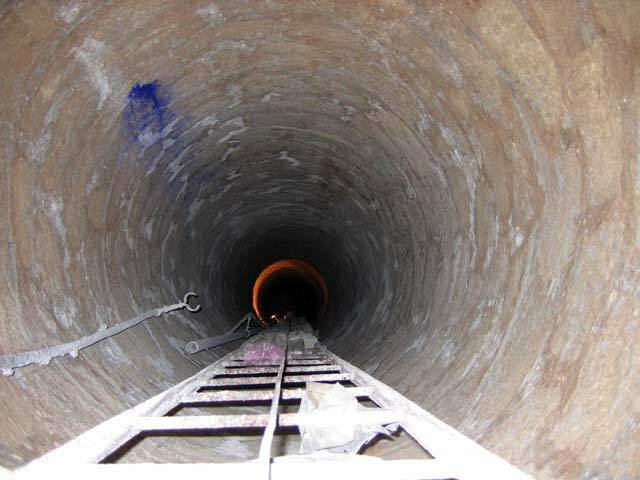 During November 2006, a well was recorded in the storeroom of a house at No. 5 Yanush Korchak Street in the Giv’at Aliyah neighborhood of Yafo (Jaffa), following a report submitted by Z. and A. Abukasis. The well was documented by L. Rauchberger, on behalf of the Israel Antiquities Authority, with the assistance of D. Barkan. The well is built of dressed kurkar masonry stones, reinforced with plaster (diam. 3 m, depth c. 35 m). A ladder and a two-inch pipe made of iron are joined to the inside of the well and extend down to its bottom. A concrete and iron casting on the mouth of the well is set on blocks of cement, mixed with seashells. This type of well is referred to as a ‘dry-well’. Its water was pumped with the aid of a motorized mechanism that raised it from a drilling to the level of the water table by means of the pipe, for whose maintenance and operation the ladder was used. Pumping mechanisms such as this were extensively used in Yafo since 1898 and by the First World War, hundreds of ‘dry wells’ were being operated (S. Avitsur, The Water Resources of the Land of Israel – Their Sources of Production and the Ways They are Used, 1992). The pump is probably earlier and the mechanical mechanism was incorporated in it at a later phase. This assumption requires further investigations in the field and a comparative study of other wells exposed in the city should be undertaken. 1. The well and the iron ladder alongside its wall.